Polar is back with yet another sports-centric wearable vying for your wrist space - this time with the activity tracking Polar A300, which has just been unveiled in Vegas at CES 2015. Back in September, the Finnish company launched the Polar M400, which combined a stripped-down set of the training features of the fantastic Polar V800 with everyday activity tracking, but still offered GPS tracking for accurate run recording. The Polar A300 ditches GPS, making it more of a rival to the likes of the Fitbit Charge and the Jawbone UP3 rather than the Fitbit Surge. Serious runners should avoid the A300 because of the lack of GPS smarts and, for the sake of $40, we'd actually say there's no point anyone investing in Polar's latest product. At $159.95, it's an expensive fitness tracker - especially given there's no heart-rate monitoring built in. The M400, at $199.95, offers great value thanks to the accurate run-tracking. Back to what the A300 can do and it's the usual array of step, distance and calorie counting - complete with intensity level training - as well as measuring sleep duration and quality. The Polar A300 also offers users customisation, thanks to the interchangeable silicone straps and it, of course, makes use of the excellent Polar Flow app. 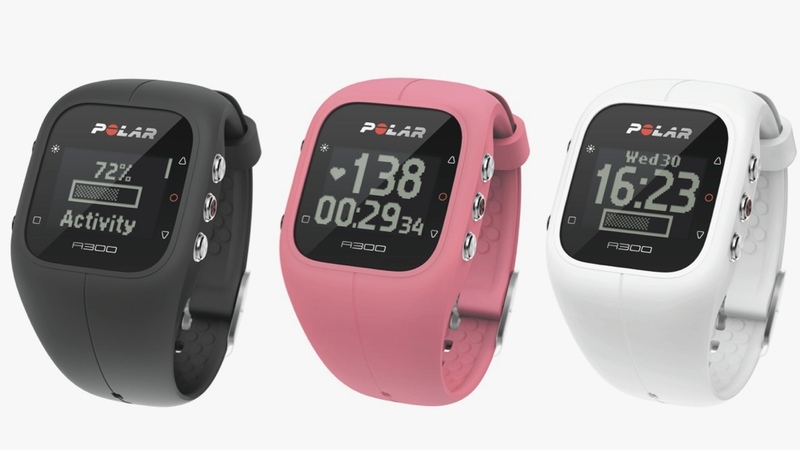 As stated, the Polar A300 is $159.95 - it's $40 more if you want to bundle in the H7 heart rate strap. It will go on sale next month in the US, Canada and Finland, with global availability expected in June. Keep checking back on Wareable for all the latest wearable tech news and review - we'll be doing a full Polar A300 review just as soon as we can get our hands on one.